If you are a victim of violence in Indiana leading to injuries, you are probably aware that a pending criminal case against your attacker(s) could involve an order of restitution upon a conviction. What you may not know is that you have further legal options in a civil lawsuit. Individuals who are deemed liable for the injuries of another person – whether through negligence or intentional conduct – can be ordered in civil court to cover damages for medical bills, lost wages, and pain and suffering. This is separate and apart from any order of restitution in a criminal court, since the two operate independently of each other. While no insurance company will pay for the cost of intentional injuries inflicted by an insured, they could be responsible to cover third-party liability in such a case. For example, if you are injured at a bar in an attack by a fellow patron, you may have grounds to sue the bar itself in an Indiana premises liability claim if there is evidence such an incident was foreseeable, and the bar’s security was inadequate. It’s often in a victim’s best interest to explore civil injury case options, since restitution orders often only take into account actual damages and often do not calculate payouts based on intangible losses, such as pain and suffering and mental anguish. It’s been nearly six years since a deadly stage collapse at the Indiana State Fair killed seven concertgoers and injured 58 others in Indianapolis. Now, the Indiana Court of Appeals has ruled as a matter of law the company paid to provide security to the main event band, Sugarland, could not have reasonably foreseen the collapse of the stage. That ruling in a recent case is one of the last of several personal injury and wrongful death lawsuits filed against some three dozen defendants as a result of the horrific accident. Back in 2014, attorneys for several of those injured and relatives of some killed reached a $50 million settlement against 19 of 20 defendants, including the state of Indiana, which paid $11 million. The details of how that settlement was paid out (which plaintiffs received what) was kept confidential. It was noteworthy not just for the size of the damages awarded, but also for the fact it was the first time in Indiana a lesbian widow received a settlement for the wrongful death of her wife. The incident occurred in August 2011 when the opening act had just finished, and Sugarland was preparing to take the stage. A large gust of wind from an approaching severe thunderstorm hit the stage’s temporary roof structure, which caused it to collapse, landing on many in the crowd. The issue of foreseeability was raised because there were numerous reports, notices, and warnings throughout the day of the concert from the National Weather Service, indicating that severe thunderstorms were likely. These messages were received by state fair officials through the automated text messaging system. Escamilla v. Sheil Sexton Co. – Undocumented Injured Worker to be Compensated in Pesos? Undocumented immigrants who are injured on the job in Indiana are entitled to receive workers’ compensation benefits under state law. They are also entitled to pursue third-party compensation from any other liable parties. However, should they be paid in U.S. dollars or in the currency of their native country? That’s the question before the Indiana Supreme Court in Escamilla v. Shiel Sexton Co. While the question of currency may seem a trivial one, it actually may have a significant impact on how much companies pay workers hurt on the job. Those who argue all workers injured in the U.S. need to be paid in U.S. dollars say that to do otherwise would allow companies that flout the law by hiring undocumented workers to receive an incentive by giving them a means to pay less in compensation in the event of an injury. Those who are arguing in favor of being allowed to pay in the injured worker’s native currency say it’s not fair that a worker should be allowed to recover damages for lost wages that they can’t legally earn. Furthermore, if those wages were to be paid in the future, they should be based on what the worker might earn in their own country, rather than what they make in the U.S.
A few years back, I wrote a blog article entitled Negligent Party Hosts in Indiana May Face Liability. The article provided some general rules and suggestions concerning possible liability issues for people who have parties during the holiday season. 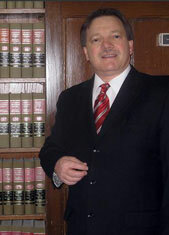 A recent Indiana decision, F. John Rogers, as Personal Representative of Paul Michalik, Deceased, and R. David Boyer, Trustee of the Bankruptcy Estate of Jerry Lee Chambers v. Angela Martin and Brian Paul Brothers, 02A05-1506-CT 520 increases the potential for liability and the responsibilities for a party host. In that case, the land possessors, defendants Martin and Brothers shared a residence. They threw a party and alcohol was purchased using funds from a joint bank account. Jerry Lee Chambers was a guest at the party. Our Highland malpractice lawyers know that you count on your doctor to provide treatment based on what is right for you, not based on what is going to result in the biggest payoff for the physician or the hospital. Unfortunately, many patients have undergone unnecessary cardiac stent procedures in the past decade because these types of procedures can result in huge payouts for hospitals. Every medical procedure carries risks, and these unnecessary and dangerous procedures were often carried out by doctors who lacked both scruples and medical talent. This has resulted in patients dying while having cardiac stents implanted that were not medically necessary.